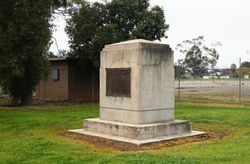 A monument commemorates the first irrigation site in Australia. 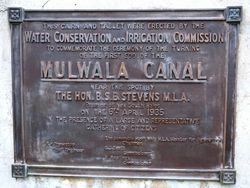 Water was first diverted from the Murray for irrigation in the 1880`s. 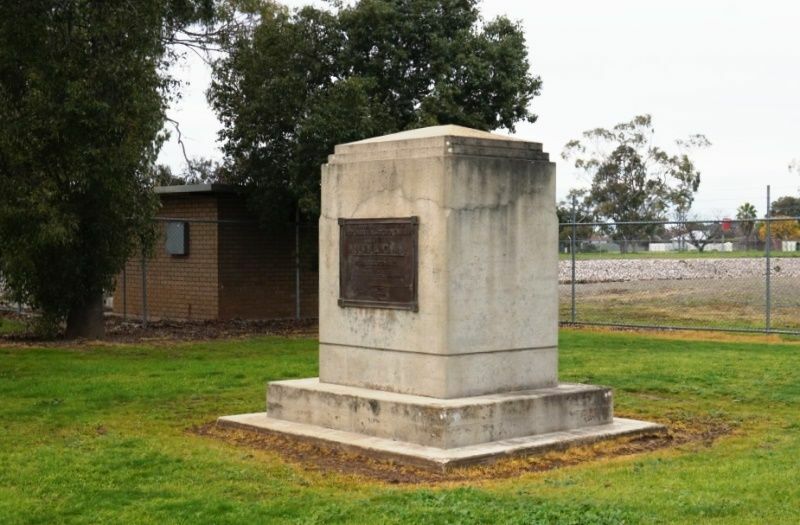 However, it was the succession of drought years from 1895 - culminating in the record dry year of 1902 - that brought home to the residents of the Murray Valley the need for protection against drought, which was needed if the region was to develop. The "go ahead" for the construction of the weir was given on July 23rd, 1934, and within a few months the preliminary works were in progress. The weir construction started April 26th, 1935 and was completed on 17-July-1939 with the filling of the lake starting on 12-August-1939.